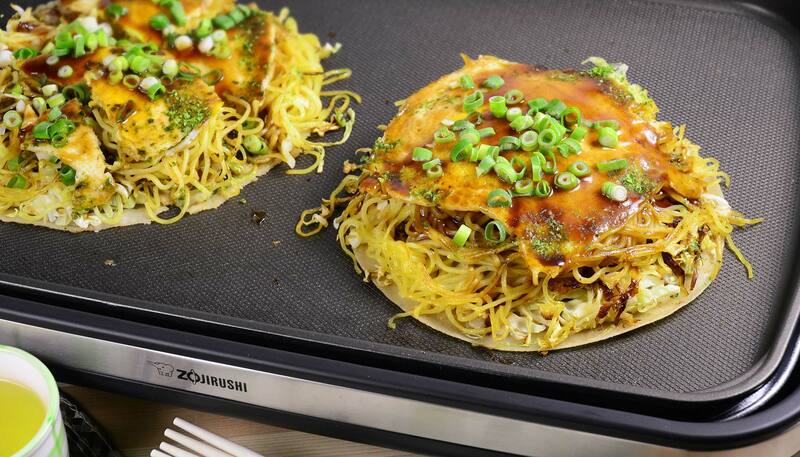 Okonomiyaki, pronounced "oh-koh-noh-mee-yah-key" is a popular Japanese dish that is also called the Japanese pizza. 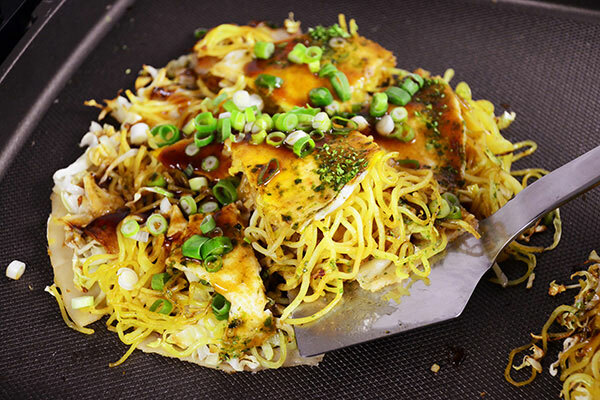 Unlike the Kansai-style, Hiroshima-style is built in layers of ingredients and grilled and topped with noodles and fried egg. Which is your favorite? 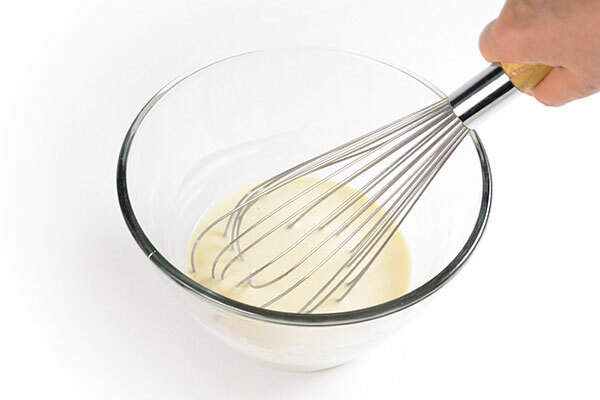 In a bowl, mix flour, water and milk with whisk to make the batter. 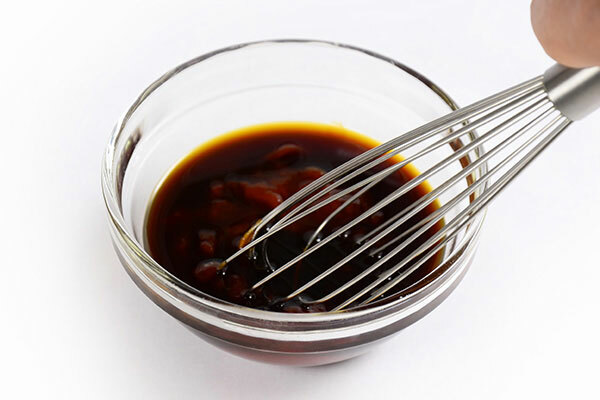 Refrigerate for 1- 3 hours. 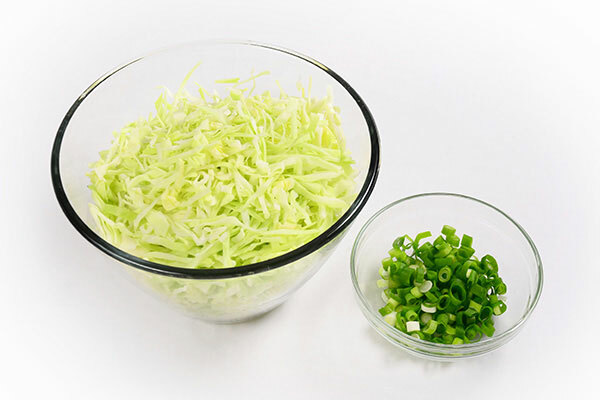 Shred cabbage into 1/4 to 1/8 inch width strips, cut green onions into small pieces. In a heat resistant large bowl, place yakisoba noodles, sprinkle 2 tablespoons of water and microwave at high for one minute. 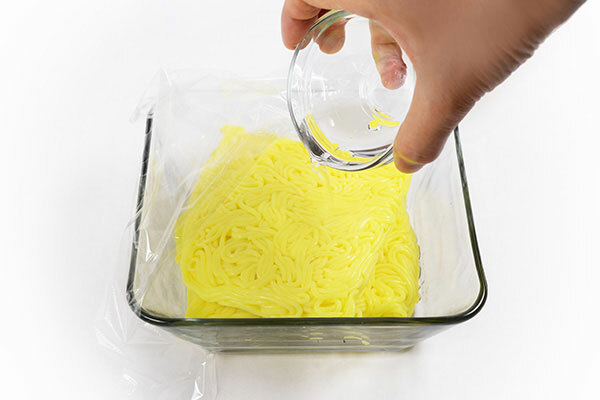 Gently disentangle the noodles. Turn on the Gourmet d’Expert® Electric Griddle / EA-DCC10 to 350ºF and wait until the pilot lamp turns off. 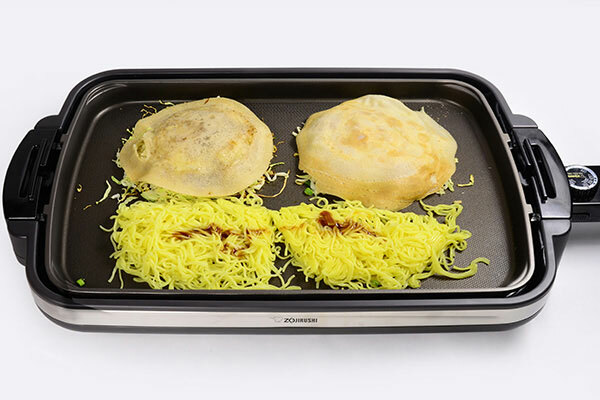 Use a heat resistant brush and brush hot griddle with vegetable oil. Set aside four tablespoons of the batter and with the leftover batter, make two crêpe. 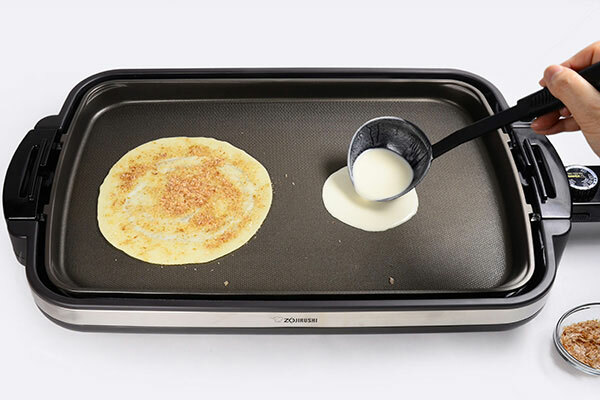 For each crêpes, pour half of batter on the griddle and quickly spread to a thin, 6 to 7 inch circle with bottom of ladle, then sprinkle bonito powder. 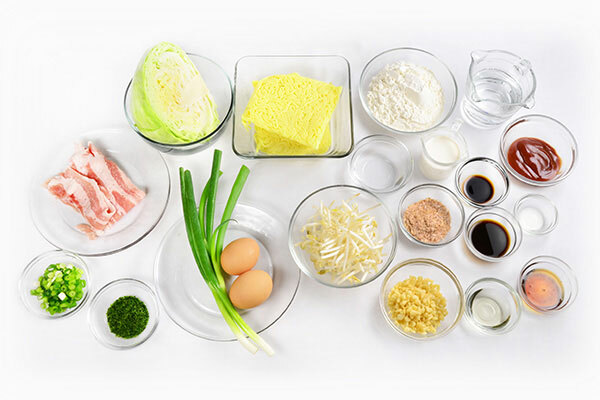 On top of each crêpe, place half the amount of shredded cabbage, tenkasu/agedama, green onions, mung bean sprouts and pork belly. 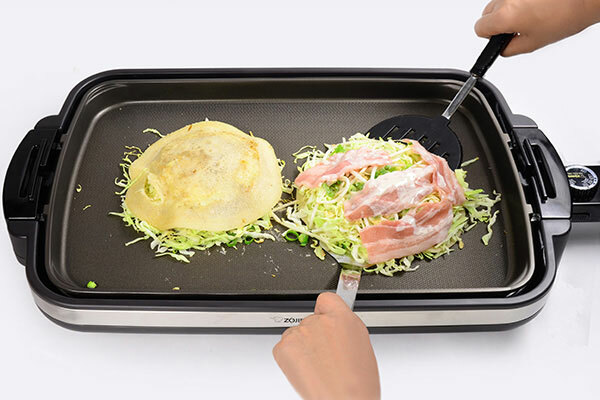 Flip the okonomiyaki with two spatulas* and cook for 13 minutes. 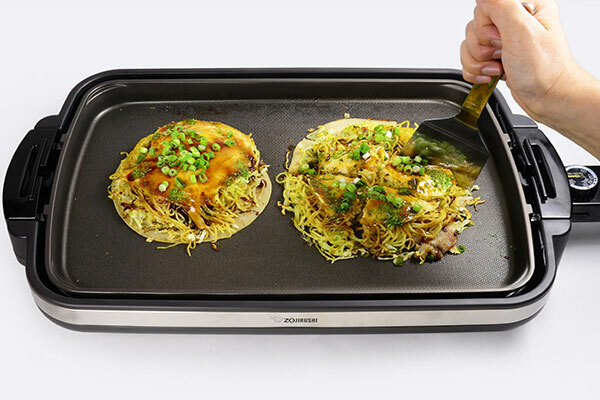 Place the yakisoba noodles on empty space of the griddle, sauté with two tablespoons of the prepared sauce. Shape the noodles into two disks, the same diameter as the okonomiyaki. 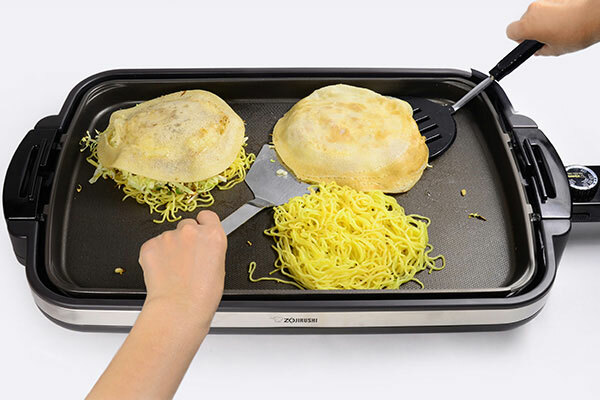 Using the spatulas*, slide and place the okonomiyaki on top of each noodle disk. 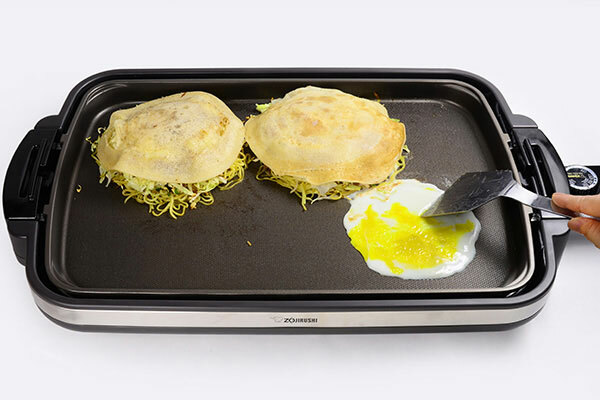 Crack an egg on the empty space of the griddle, break the yolk with a spatula* and gently spread until same size as the okonomiyaki. 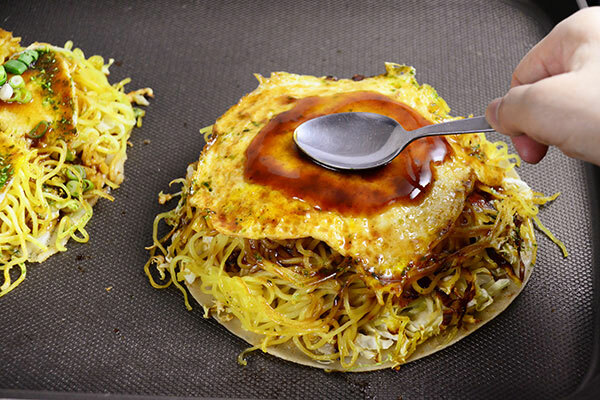 Immediately place the okonomiyaki and noodles on the top of egg before the egg completely coagulates. Repeat steps 11-12 for the other okonomiyak. 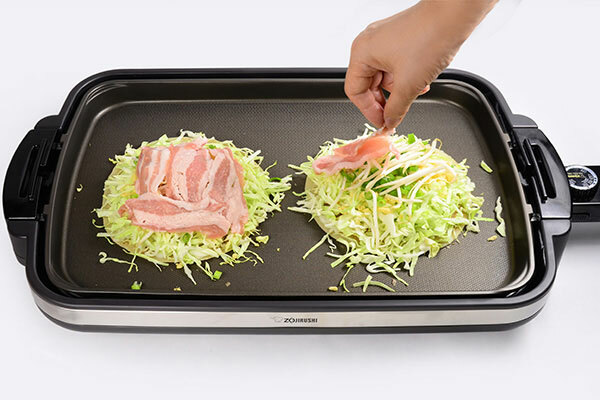 After 30 seconds, flip both okonomiyaki again and spread prepared sauce on top. Reduce heat to Keep Warm, sprinkle optional aonori and green onions according to your taste. 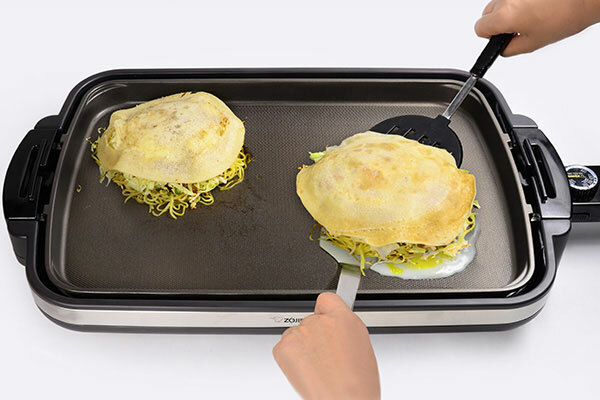 Gently cut into sections using the spatula* and serve from the griddle.